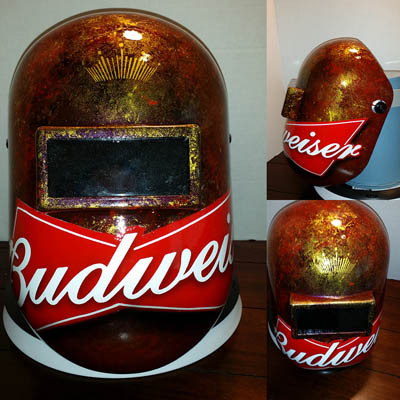 If you're looking for a new custom painted welding helmet, you've come to the right place. 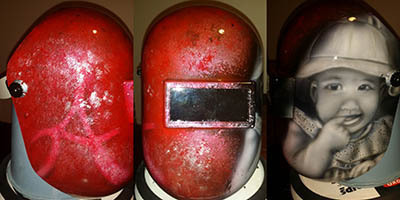 The welding helmets below are custom painted for those customers. 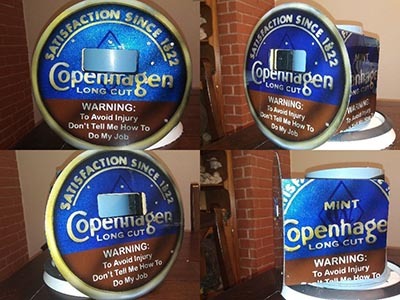 Some of these are available for your purchase, others are not, they are one offs. 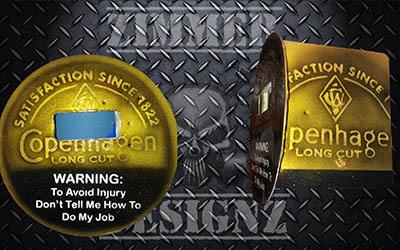 Send us your ideas for your hard hat or welding hood by email. 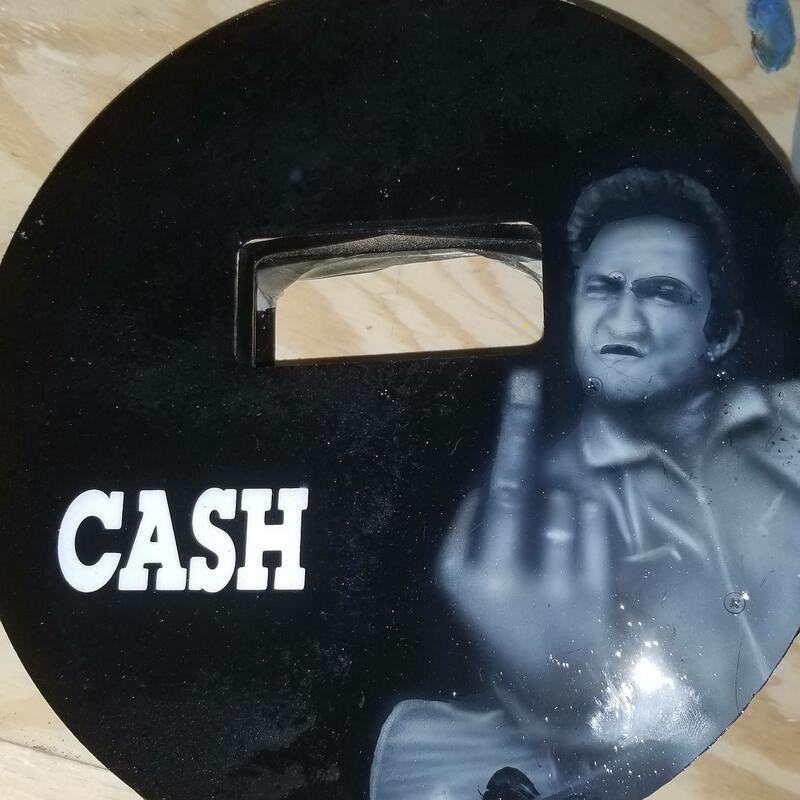 We will work out some ideas and get back with you. 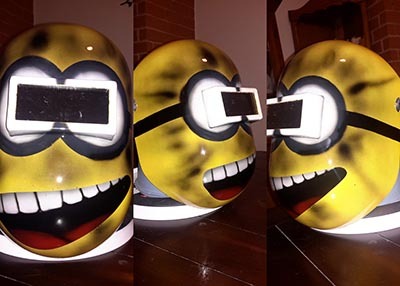 Stand out from the crowd! 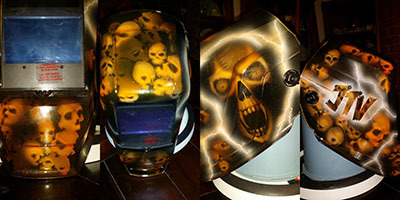 Custom airbrushed welding helmets painted with your theme of choice using your color choice and finished off with a good clear coat for that good shine and protection of the art work. 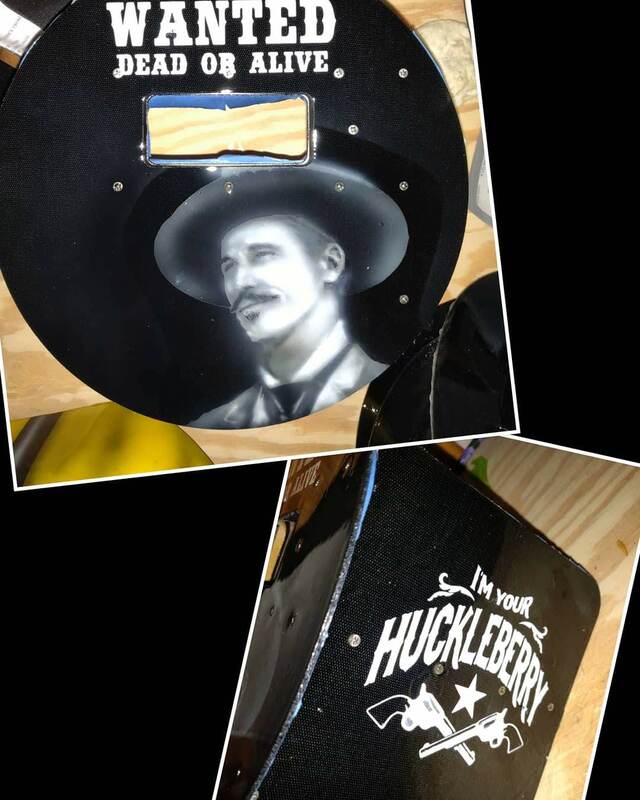 Whether it is a custom painted Doc Holiday pancake hood or The Man In Black painted on your hood we can paint a custom hood for you. 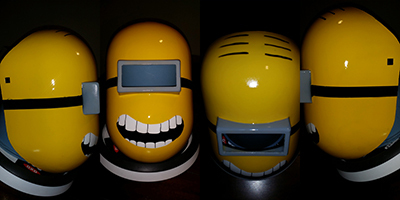 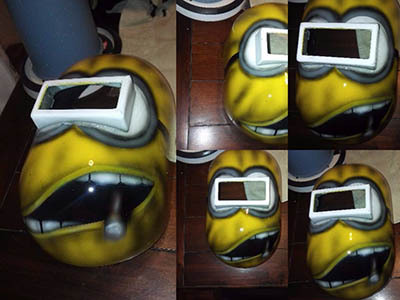 The Minion Boss welding hood. 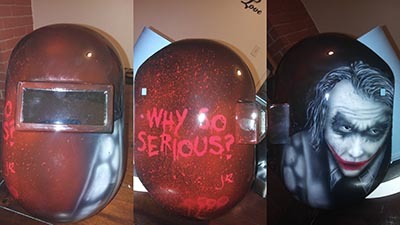 Custom painted welding hood. 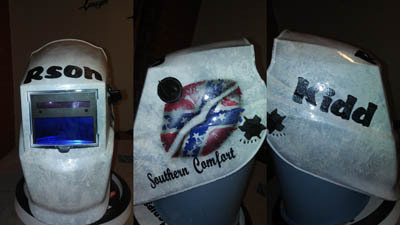 Southern Comfort. 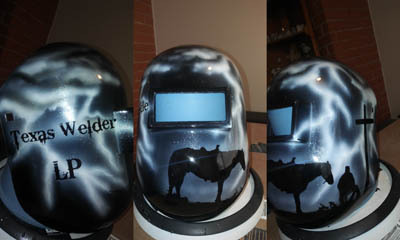 Custom painted welding helmets with portraits and memorials. 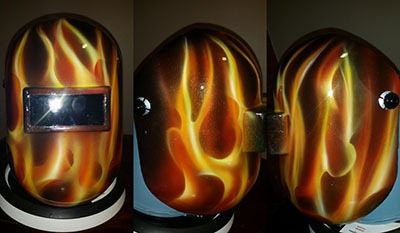 True flames custom painted welding helmet with metal flake in the paint for that extra POP in the light.or welder with a picture of his deceased Grandfather and his Son. 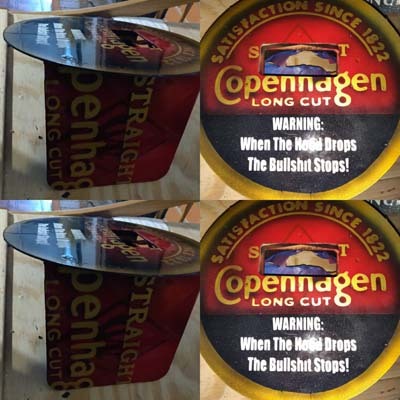 Original photo included for artwork comparison.